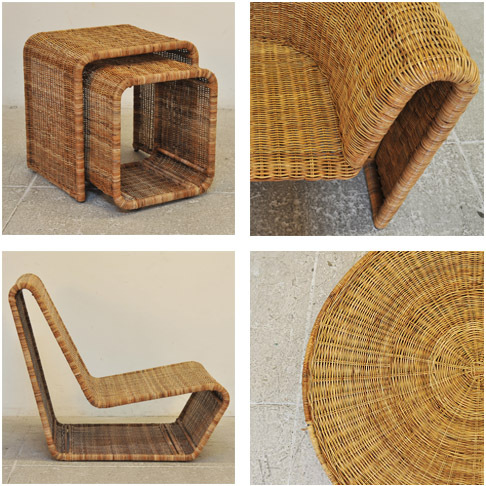 Arurog is often referred to as “rugged wicker.” It is a slender, flexible reed that can be woven around a rattan or metal frame. We utilize arurog in its natural state with just a clear coat to bring out the subtle variations in color. This natural color, combined with a varying reed diameter, give arurog pieces a slightly rustic aesthetic that is full of texture and warmth. Click here to view designs that are woven in beautiful arurog.